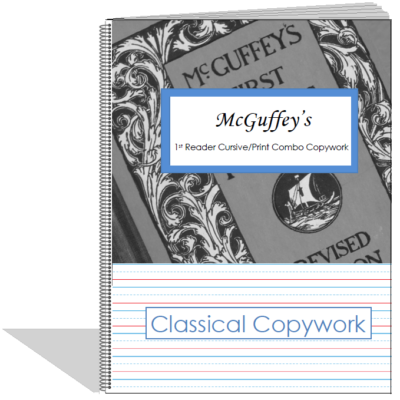 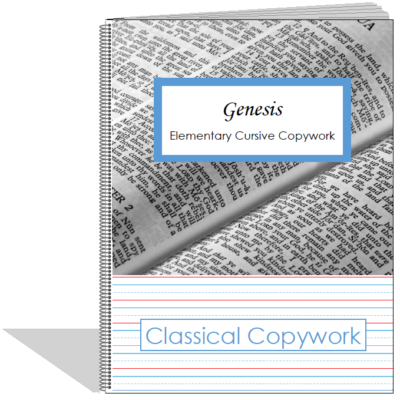 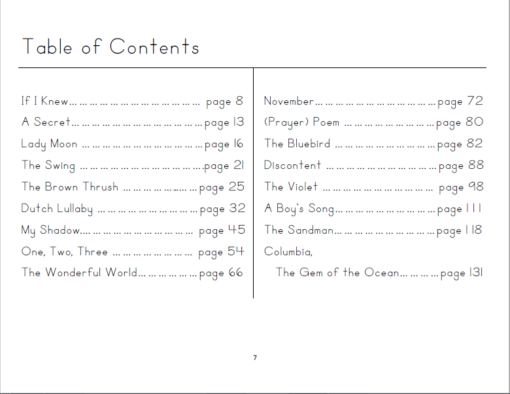 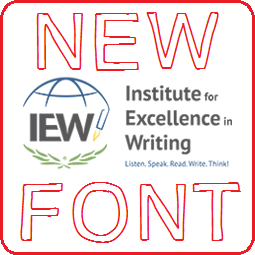 This copywork ebook contains 17 poems (114 pages of copywork). 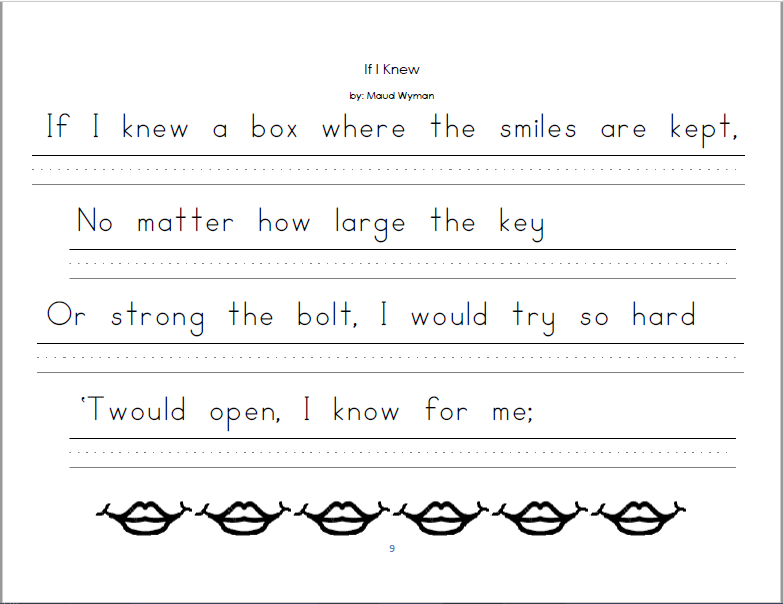 It has been especially designed for students going through Primary language Lessons, but would be fantastic for any child learning poetry or even just as stand-alone copywork. 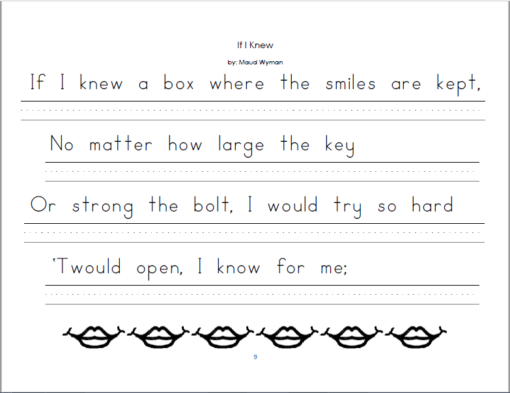 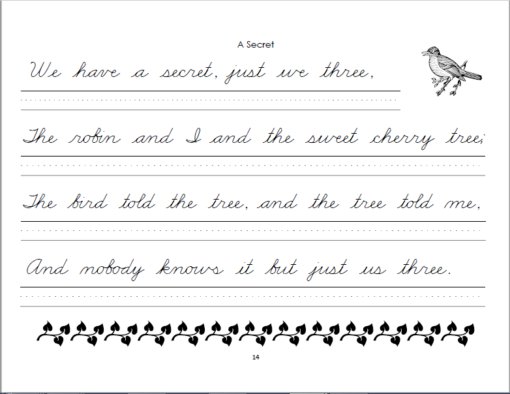 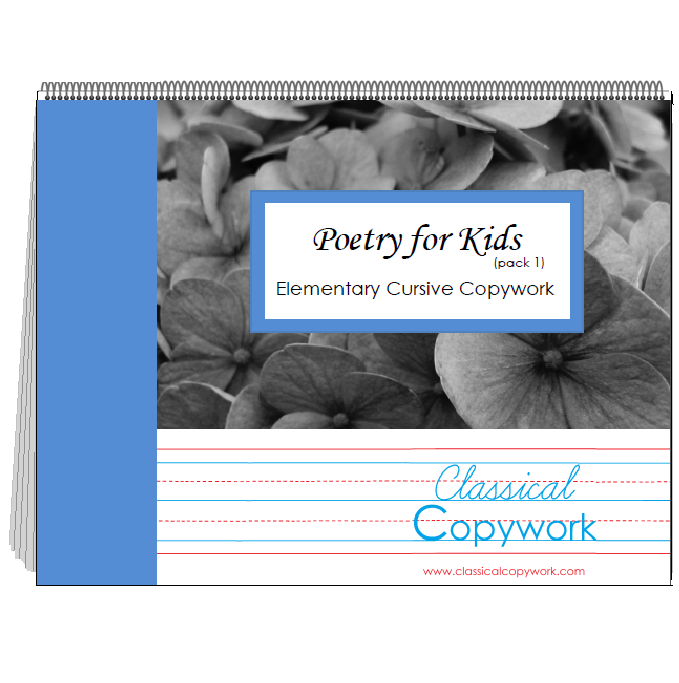 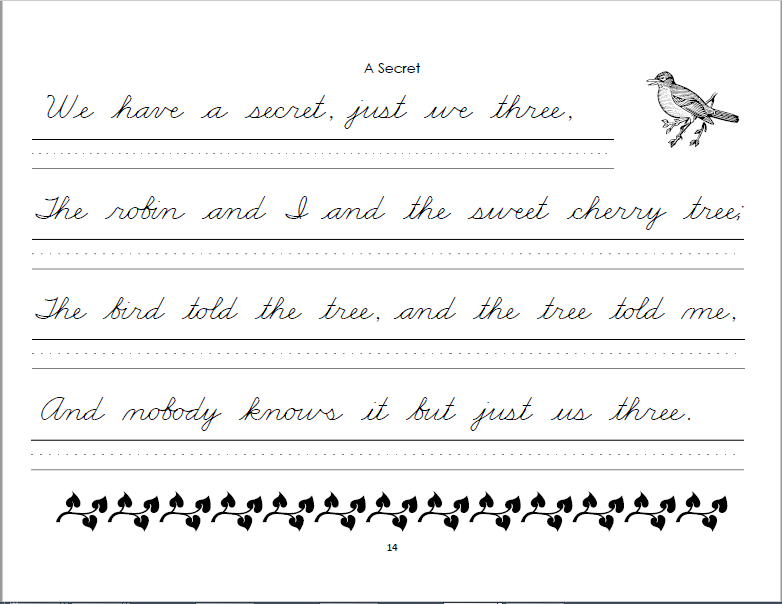 If you are using this copywork to aid your child in memorizing these poems, a great idea would be to have him/her memorize one stanza a day, and do the corresponding page for reinforcement.